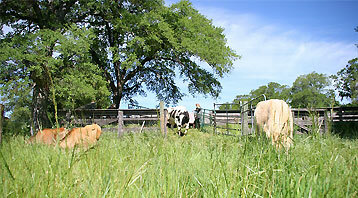 Founded in 1989 Animal Place is one of the oldest and largest sanctuaries for farmed animals in the country. Nestled on 600-acres in Grass Valley, CA, Animal Place provides refuge to hundreds of neglected farmed animals. In addition to permanent sanctuary, Animal Place’s new Rescue and Adoption Center in Petaluma is focused on placing needy farmed animals into permanent homes. The grand opening of our Rescue and Adoption Center is June 29th, 2019. Sanctuary is important work, but Animal Place strives to create meaningful change for farmed animals through advocacy and education. Thousands of visitors flock to the sanctuary each year to learn more about the animals and farming. Volunteer classes introduce folks to the more intense ways people can help. Internships are also available. We invite you to put your compassion into action by becoming vegan, volunteering, interning, donating, adopting, or rescuing!